Many people with type 2 diabetes will eventually require insulin to keep their diabetes in control. 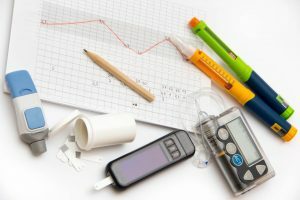 In fact, most experts believe we wait too long in the progression of type 2 diabetes before starting people on insulin. Progressing to insulin does not mean you are failing, but just that your body needs a little more help to keep your blood sugar in range. 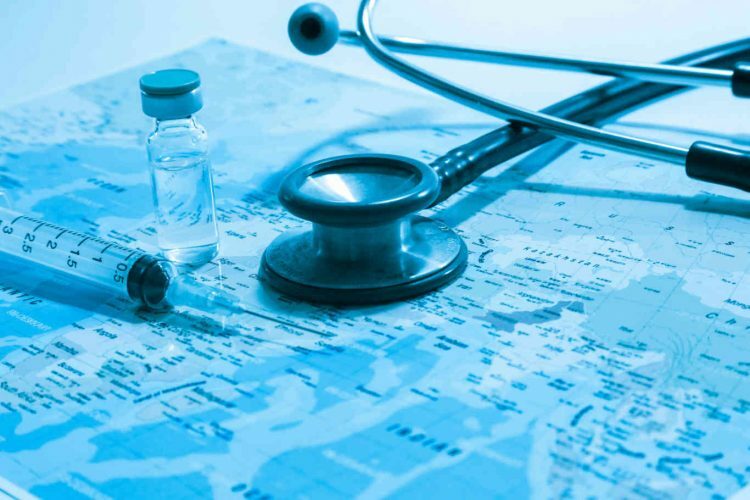 How much insulin you need, and when you take it, depends on several factors: the type of insulin your doctor has prescribed, your nutrition and exercise habits, and other co-existing medical conditions, and medications you may be taking. Insulin can be divided into three main categories. The first is long-acting, also known as basal or background insulin. It is usually given once (or sometimes twice) daily, and is intended to help control blood sugar over a twenty-four-hour period. The second category is shorter-acting insulins. These are used to help control blood sugar spikes after eating, and also to “correct” an unusually high blood sugar reading. Depending on the type, they start to work within fifteen to thirty minutes, and last for three to six hours. Many people with type 2 diabetes do well with just a long-acting insulin combined with oral medicines, while others will need to add a mealtime dose of shorter-acting insulin to control after-meal blood sugar spikes. The third category is made up of combinations of long- and shorter-acting insulin. These insulin mixtures are usually given twice daily. The long-acting insulins now approved for use in the United States are Lantus, Levemir, Toujeo, Tresiba, and Basaglar. Novolin N and Humulin N are older forms of insulin that are not as long-acting as the newer ones, and their activity is less predictable. The new shorter-acting insulins—Humalog, Novolog, Apidra, and Afrezza (inhaled insulin)—are sometimes called “rapid-acting,” because they usually begin to work within about fifteen minutes, and can be taken at the beginning of a meal. 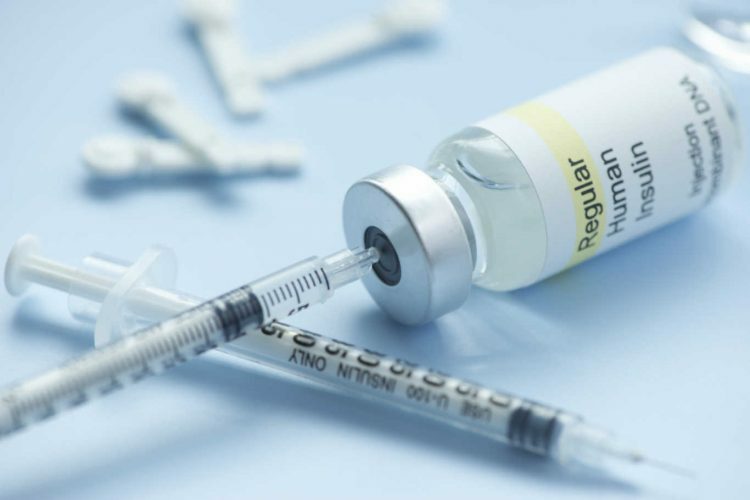 The older forms of shorter-acting insulin—Humulin R and Novolin R—are more difficult to use, as they must be taken thirty minutes before the start of a meal. Insulin can be injected manually, or can be infused into the body with the help of a small electronic infusion device called an insulin pump. The rapid-acting insulin Afrezza is inhaled. 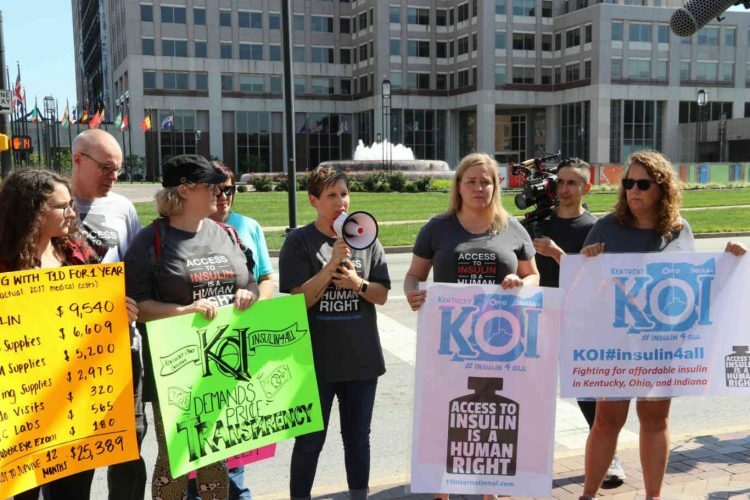 Insulin pens provide a convenient, easy-to-use means of injecting insulin, and may be less painful than a standard needle and syringe, thanks to the availability of shorter, thinner needles. All of the newer insulin products are available in disposable pen form, allowing the dose to be accurately dialed in. The user simply turns the dial to select the desired dose of insulin, inserts the needle, and presses a plunger on the end to deliver the insulin under the skin. An insulin pump is a device that mechanically delivers insulin to the body. The pumps are designed to more nearly imitate the activity of a healthy human pancreas. They contain a small chamber of insulin, and the insulin is delivered to the body by way of a piece of tubing running from the pump to your abdomen, arm, thigh, or buttocks through an infusion set. This “infusion set” attaches to the body with tape, and the insulin is delivered through a tiny plastic tube or cannula. After you insert the cannula, it stays under the skin for about three days at a time. Some pumps are “tubeless,” meaning that the pump and infusion set are all in one piece, and the entire device is applied to the one of body areas listed above. Insulin pump technology is rapidly moving forward, and new devices and systems are in development. The pump works twenty-four hours a day, putting out a little bit of insulin all the time. At certain times, when ordered, it puts out a burst of insulin that lasts for a short time. The pump can be programmed to release a little more insulin when the blood sugar is going up (for example, from food or stress). It can also be programed to release less insulin when the blood sugar is going to go down (for example, from exercise or medicine). People who wish to use a pump may find that they are able to get excellent blood sugar control if they are willing learn how to operate the system, check blood sugar often, and understand the effects of food and exercise. Read more about insulin pumps.